The reviews of the iPhone X have been overwhelmingly positive, and one of the areas drawing the most praise is the new controls. We all knew that dropping the Home button would require a complete re-tooling of the interface of the phone, which also immediately set it apart from all other iOS devices. If Apple had gotten these new controls wrong, the X would have landed with a massive thud. That is most definitely not the case, as again, the praise from both reviewers and users has vastly outnumbered complaints and sales are headed for the record books. My initial impression of the gesture controls was positive, and has actually grown more positive as my time with the X has progressed. I know this is subjective, and that as a born “button-pusher,” I tend to pick interfaces up fairly quickly, but I actually find the controls to be fairly intuitive in practice. That practice part is the real key, and not as in they require work, but that you pick them up quickly as you use them day to day. They may sound difficult to grasp when described to you out of context, but in actual use in context, they make sense and find their way into muscle memory quickly. The only one I find to be really unintuitive and difficult to get right every time is the new Reachability gesture. After enabling the feature in Settings-Accessibility (it is disabled by default on the X), you swipe down over the thin black gesture bar at the bottom of the screen. The main issue I have with it is that I have a case with a slightly raised edge, leaving little room to get a swipe to register. However, this is a very small complaint for me. Thanks to the X’s smaller size, I really don’t have much need for Reachability any more like I did on my Plus-sized iPhones. While not unintuitive, the Control Center gesture bothers some users, as it can be hard to reach the opposite corner of the phone. It is not as much of an issue for me, but I can understand the frustration. It would be smart on Apple’s part to maybe add a little “fudge factor” here and recognize near misses that land next to or just under the top right edge. In my opinion, the primary reason that the gestures work so well is the speed and sensitivity of the X’s new screen. Better yet, it’s what’s behind the screen that really counts. In a previous installment, I touched on the fact that Apple upped the touch input speed to 120 hz, which is double that of previous iPhones. Because of this, the gestures just flow as you move your finger across the glass. When you move a app’s card, it moves virtually in real time. When you swap apps, its as if you are shuffling a deck. There is absolutely zero lag in the interface that I have been able to spot. That flow makes the experience easy, satisfying, and kind of fun. The other benefit is that the rest of the screen interactions we already had before the X are improved, as well. Moving the cursor around the screen for text editing using 3D Touch used to be a bit of a chore. I have used that feature since it showed up with 3D Touch on the 6S, but as handy as it is, there has always been some frustration with it. Now the cursor dances across the screen and lands right where you want with ease every time. THIS is one of my absolute favorite features of the enhanced screen. 3D Touch in general also seems to get a boost from the improved speed and sensitivity. Everything from moving through apps to swiping between Home Screens and Folders is just smoother. So, as far and I and most reviewers are concerned, you can keep your Home Button if you want. Just know that if you do, you are missing out on a lot of benefits that come with its demise. The loss of the old has brought a lot of freshness that, speaking frankly, iOS has needed for a bit. It got a jolt of it with the changes to the iPad Pro in iOS 11 earlier this year, but all iOS users don’t see that or get the benefit of those new interface features. The iPad Pro just isn’t for everyone. The iPhone is where the market is, and it needed the same kind of injection of new blood. The screen and controls of the iPhone are just what the doctor ordered, and come at the perfect time to give us a small reminder of how the original iPhone made smartphones fun 10 years ago. Who Brought the Party Poopers? While most of the reviews of the iPhone X’s new gesture controls have been positive, there are still a few very vocal critics out there. They have all the right in the world to their opinions (even though they are wrong :P). Seriously though, I do think it’s important to address why they are so harsh in their judgement of Apple and it’s newest design. First up is Jesus Diaz, who penned his third straight scathing analysis of all that Apple is doing wrong for Fast Company. After already trashing iOS 11 and the X’s hardware, this time he rambles on about how difficult and unintuitive all of these new iPhone X gestures are, and how Apple has cast aside the beautifully simple and elegant Home Button for something inferior. Mr Diaz quotes a few other technoriati who had issues with the new gestures, but calling them a “nightmare,” and “disaster” is frankly ridiculous. In fact, I’m not going to link to this article, because it’s true purpose is to serve as click-bait and I don’t feel like contributing any more than my one earlier today. If you really feel the need to read it, Google it. The fact that Leo Laporte called this guy out for being offbase about Apple on this week’s MacBreak Weekly should tell you just how far afield Diaz’s opinion is. Next up is Christina Bonnington with Slate. I will give her a lot more credit than Mr Diaz, as her critique of the X’s interface is far more measured and professional. She relays a lot of the worst early experiences of several early reviewers, but still admits that most of these gestures will become second nature to users within a month. Well, I’d put that number at around 2-3 days based on my own experience and what I am reading from others owners on Twitter. She does have a very good point that the Control Center gesture is more difficult and less convenient than it used to be. I can do it one handed, but many people with smaller hands won’t be able to. That is worth legitimate mention and discussion. However, her tag line that we will miss the Home Button…not a chance. Not me, at least. This is a critical detail that I will come back to. Last we have Joshua Topolsky of The Outline with an overall critique of pretty much everything about Apple today called Apple is Really Bad at Design. To be honest, Mr Topolsky really doesn’t even touch on the gesture interface of the iPhone X in this article, but both the tone of it and the central argument share a similar theme as the last two articles- mythologizing Apple’s past and criticizing its present in comparison. More on that in a second. Again, I won’t say that he has no valid points here. As Apple’s product portfolio grows, it becomes less cohesive and less integrated over time. There are outliers. There are dongles and different connectors. This is all true. However, how you arrive at something you believe to be true matters. In this case, I really didn’t even have to read this article to know exactly where it was going. Another article by Mr Topolsky entitled Google is Really Good at Design was plugged at the bottom of the page. Objectivity in journalism at work, right? The fact is, I’ve personally watched Topolsky slobber all over Mattias Duarte in an interview while pummeling Jony Ive at every turn. These articles are simply continuations of the same things he’s been saying for five straight years. There is literally nothing new to see here. That leads to another thread that links two of these articles together. There is an objectivity problem with Diaz and Topolsky that Ms Bonnington manages to avoid in her piece. They are slapping an objective analysis label on a very subjective topic that they claim a high level of expertise in. However, their passion level belies objectivity. In the end, they come off as design nerds who feel somehow slighted or offended by Apple. If you read these two pieces, just take note of the somewhat to very aggressive tone. These are NOT objective articles in the slightest. The problem is that there is an expectation that they are based on where they are published and the fact that they aren’t specifically labelled as opinion pieces. Topolsky even give the reader the benefit of revealing the root of his initial slight- Jony Ive’s break with the past in iOS 7. He traces all that he believes is wrong with Apple back to that moment, while throwing jabs such as “amaturish” at one of the most decorated product designers alive. This sums up the state of the tech press pretty nicely. Mr Topolsky focuses on historical details that Mr Diaz and Ms Bonnington avoid, but all three authors share the common focus that I mentioned initially above. All three authors mythologize Apple’s past and as a result, remain stuck there. However objective or subjective their opinions are, users seem to be very much on board with the new direction that Apple is taking. Despite all the endless questions about the iPhone 8, Apple still beat the street in quarterly earnings. The iPad growth of the previous quarter wasn’t an aberration. The Mac, the tech press’ whipping boy thanks to dongles and Touch Bars and not enough ports and slowly killing off their precious MacBook Air, posted a growth quarter as well. Oh, and the “failed” Watch now IS the smartwatch category, the way that the iPad is still the tablet category. Mr Topolsky couldn’t resist taking a swipe at this directly, saying “Apple may be able to tout that it’s the “No. 1” watchmaker in the world, but that doesn’t mean it’s making good products.” I can’t help but laugh as I type this. Those are some tasty sour grapes. Despite the hand-wringing and whining and crying of some who want Apple to remain in 2000-2011 bliss, they are still on track to become the world’s first trillion dollar company. Maybe that is the reason for so much angst from a segment of the tech press. Apple really doesn’t care about them anymore. At all. The stiff backhand that was the iPhone X review cycle told them and everyone else that loud and clear. The fact that should bother them more is that this cycle also proved that they don’t need them anymore. Apple doesn’t require the former gatekeepers to hold the door open for them anymore because the media wall is full of holes filled by YouTube, podcasts, blogs, and the traditional non-tech press. They all proved very willing to take an Apple exclusive and run fast with it. Maybe it’s hard to blame some who used to be in the it crowd for having a case of sour grapes over being left behind. Some will continue to shout “Apple is Doomed” from the rooftops….and very, very few will listen. It’s pretty clear to me that Apple is ready to move on with little to no connection to them. As long as most of their users in the general public are happy with their designs and products, then all the press and attention they need will still be there. It will just come from different sources who are happy to oblige. A Critique, or a Question? Back to the original subject- gestures. If there is a pertinent critique to be made here, it’s that Apple has virtually severed all continuity of interface between its various iOS products. As with the rollout of 3D Touch, Apple now has products with very different interface features, except in that case, the feature was optional. The gesture interface of the iPhone X is NOT optional, and there is absolutely no way it can be married to what came before. This is a break point. That isn’t a problem in and of itself. I’m not stuck in the past, and most other iPhone users won’t be, either. Where a problem can arise is with how Apple handles this transition going forward. In the case of 3D Touch, they have moved at a snail’s pace, rolling out year by year, and skipping over the iPhone SE entirely. Then you have the issue of whether it will ever be affordable to add it to the iPad. When people don’t have a feature when it’s new and there is attention being paid to it, they will probably never bother to use it in the future. The gesture interface of the X won’t suffer that fate, but Apple needs to avoid the path of 3D Touch and take a more aggressive stance in rolling this out and getting their products on the same page as soon as possible. Along the same line of thinking, we now also have another potential schism with the iPad line. iOS 11 brought us several new and very valuable interface paradigms that are not shared with the iPhone. Right now, there is general agreement that the new interface has a good design and works well. If the new rumors of a coming iPad Pro with no Face ID and no Home Button prove to be true, will this interface continue on its current track, or will it be reworked less than a year later to match the iPhone X? Another example is the Apple Watch. Its interface was dramatically reworked in watchOS 3 to match up with the iPhone’s. Swipe down for Notifications. Swipe up for Control Center. Use the buttons to get to your apps. Will it be reworked again to be more congruent with the X, or left on its own track? If you’re thinking I’m going to talk about the Apple TV next, you would be wrong. Only the relevant products matter here. Sorry Apple, but it’s true. This is less of a critique right now, and more of a series of questions that Apple needs to answer over the next two years. 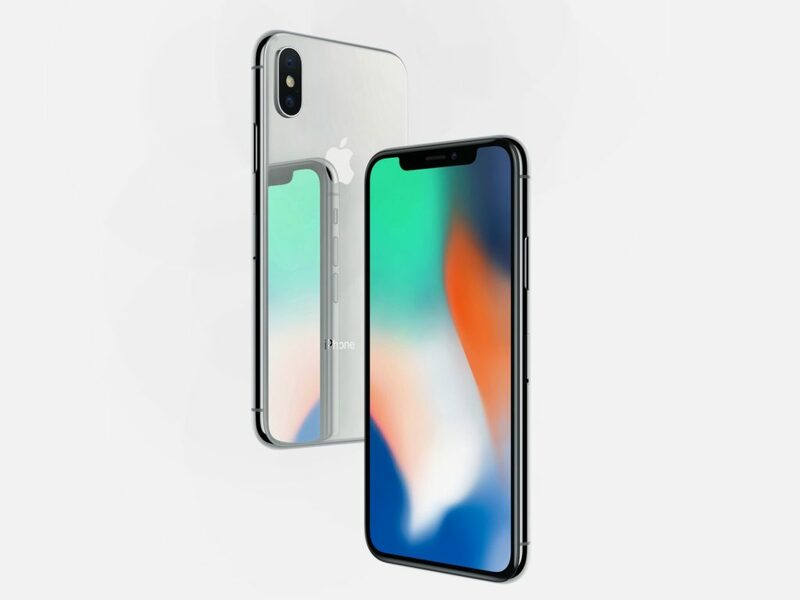 With the iPhone X, they have struck out in a different direction, and its a direction that I and many Apple fans are very much on board with. It does part ways with a sacred cow of iPhones past, but companies have to make these kinds of decisions to move forward. However, it is important that we see some connecting threads and links form between all of these various iOS-based products and interfaces going forward. Oh, and how about killing off the last sacred cow along the way- the Home Screen. That one will really get the tech press going. At the end of the day, satisfying the tech press is irrelevant. Apple moving ALL of their products in this new direction with more unity and cohesion is their real challenge going forward. What do you think of the gesture interface of the iPhone X? Do you love it? Do you disagree with me and miss the Home Button? Do you think the tech press doesn’t get it, or have they got Apple pegged? Let me know what you think in the Comments section below, on Flipboard, on our Facebook page, or on Twitter @iPadInsightBlog. Jesus Diaz? People like that shouldn’t be given a second look and his opinion is less than worthless. The guy has been an anti-Apple troll and a Microsoft/Android evangelist since as long as he’s been publishing his crap. Objectivity or facts don’t influence his writing, the guy has his narrative and he will twist things in whatever way is necessary to maintain his extreme negativity towards Apple, by ignoring the foibles of all its competitors, and exaggerating Apple’s or inventing them completely. He’s been bashing the iPhone for as long as I can remember for its “bezels” and home button, so of course he’s now predictably bashing Apple for removing the bezel and home button. He has never given them credit for anything, and I used to read his stuff just for fun to see how consistently he would misrepresent everything to push his own agenda. The sad thing is that normal people read the opinions of these people, and believe them to be objective or based in some truth, which they never are. I think you summed it up pretty nicely there! I completely agree. As someone who is coming to the X from a regular sized 6S, I find reachability is an absolute necessity. It is here that I think Apple needs a lot of work, especially when trying to execute the maneuver on the home screen. Apple either needs to create a bit more space under the home screen dock or allow you to switch gestures with something you may not use as much. As for the space under the dock, I find that in trying to execute reachability on the home screen, I am constantly opening one of the apps in the dock. If that doesn’t happen, I get nothing to happen at all. Maybe 2 out of 10 tries will I successfully get reachability to work. Having more space between the bottom of the dock and bottom of the screen will help this a lot. The other suggestion is to allow customization of gestures. Right now, swiping down from the middle of the home screen opens the spotlight search. This is something I rarely use. Why not allow us, thru a setting, to switch what gestures do? That is, allow me to swipe down from the lower third of the home screen to execute reachability and use the down swipe at the very bottom of the screen for spotlight search. It would be a decent solution to those of us who do miss the quick double tap to execute reachability. I understand the issues you are talking about. However, I think there is good reason to NOT allow for adjustable gestures. Going with a gesture-based interface already places greater demands on developers, especially right now while there are devices that have completely different interactions. Many are already handing to adjust how their apps work to not interfere with the new gesture controls. Making the gestures configurable would give you a similar situation to what exists on Android, where devs don’t know what to expect from device to device. As for switching gestures around, for every one that you might not use, someone else may depend on it. As for me, I use Spotlight multiple times per day, so I and many others wouldn’t want to see it moved. That said, I think there are things Apple can do to improve on what they have done with gestures on the X. Looking at the way that have refined the Apple Watch, Apple Music and Apple News quickly, I think they will move quickly to make adjustments. However, it will be difficult for them to find a way to be all things to all users. First time reader and I loved your analysis. It’s not easy to be a fan and give a fair, rational critique, but you did a nice job. One question, though. You wrote “new rumors of a coming iPad Pro with no Face ID and no Home Button”. Is that a typo? How could a device lose the home button and NOT have Fave ID? ( unless it used that mythical Touch ID under the glass concept ). Curious about what these rumors are, and when it might come out. I love my 12.9” iPad Pro, but I’m already getting frustrated by having to press the home button now that I am used to the iPhone X gestures! Would love to have the same gestures across all devices. Yep. That would be a typo. (Insert Sad Trombone sound here). To be honest, I’ll be skeptical until I see it. The motion for the iPad’s Dock really only fits at the bottom of the screen, and that gesture conflicts with the iPhone X’s Home gesture. I like the way Apple handled the Dock in iOS 11, and have a hard time believe it they are going to toss it so soon. We shall see. I’m glad you like what you are reading (other than the stupid typo). I try to avoid being a fanboy and maintain some sense of balance and reality around here.